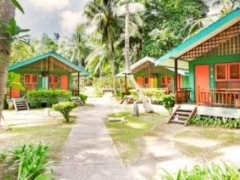 For $89.90 per pax, you get a 2D1N Cabana Room Stay with breakfast, 2 way ferry, all land transfers and 1 set lunch (worth $158). 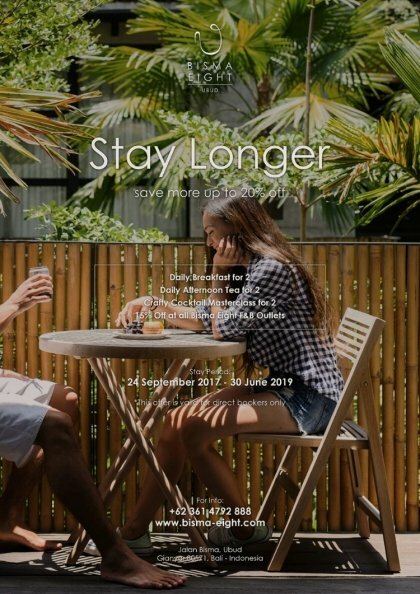 For $109.90 per pax, you a 2D1N Cabana Room Stay with breakfast, 2 way ferry, all land transfers with a 60 minute massage OR Firefly Tour OR Elephant Show (worth $178). Wake up to fresh sea breeze and the lush beauty of a tropical beach at the Nirwana Beach Club. Kickstart your day with breakfast at the Nirwana Beach Club, which is also famous for its mouth-watering thin-crust pizzas generously layered with cheese, a variety of flavours and creamy sauces and oven-baked to perfection. Take a cooling dip in the spectacular grotto-style swimming pool complete with waterfalls, whirlpools, lush tropical foliage and air-conditioned cabanas, or simply head to Nirwana Beach Club's Water Sports Centre for more thrilling aquatic adventures. Water sports enthusiasts of all ages can indulge in a wide array of activities like kayaking and bodyboarding which are definite must-dos when visiting the tropical island. Those in need of an adrenaline high can also try the exhilarating Flying Fox experience. Consummate equestrians, on the other hand, can show off their horsemanship skills at the horse riding grounds. Otherwise, Grouponites can also partake in some friendly competition in a game of archery. As night falls, head back to your rooms, take a romantic walk by the shore or head to La Luna, Nirwana Beach Club's very own open-air disco and pub which hosts Saturday night parties weekly. Dance the night away to alternative and progressive tunes spun by La Luna's in-house DJs. Those selecting the luxe option get to enjoy an additional hour of fun with a choice selection of either a rejuvenating massage, mesmerising Firefiles Tour or exhilirating Elephant Show. Or for those seeking an eco adventure in Bintan should not miss out on the Mangrove tour, where you will cruise down a river on a boat and enjoy the sight of hundreds of fireflies flashing in harmony. 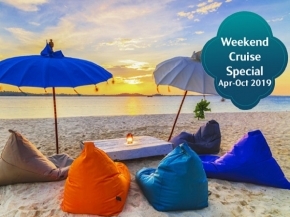 Included in this Groupon are 2-way ferry and land transfers to ease worries of transportation, as well as a buffet breakfast, alongside a spread of outdoor activities for extended periods of fun on the Indonesian island. Reviews We enjoyed our stay in this hotel. Staffs are friendly too. The resort is very relaxing. I just suggest to extend the length of time the guest can use the wifi even after checking out and waiting for their ferry time boarding. But all in all i will still go back to this place to have a stress relieving break." 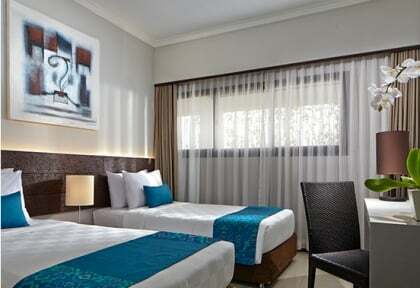 Our deluxe room was newly furnished, very spacious & comfortable! It was way better than I expected!!!! All the staffs at Nirwana was really nice & polite :) I'm so gonna come back again"